Building on over two centuries of agricultural history, North Bay farmers are considering their options when it comes to continuing to produce what they have been doing for decades, while also keeping a close eye on consumer trends that could signal a shift toward more diverse offerings, including a possible return to crops that once represented a major part of the region’s output. Evidence of this is seen in the rise of craft breweries (with a need for hops), the advent of the hard cider market (calling for more apples) and changing demand for milk products (from milk to yogurt and ice cream) to mention a few. The irony of all this is that Sonoma-Marin area appears to be coming full circle since hops and apples were among the mainstays of local agricultural output in the not too distant past. Bottom line, agriculture is in transition – again – presenting farmers with a chance to do what they have always done – positively responding and taking advantage of consumer’s changing tastes and preferences. Agriculture is a significant factor driving the Sonoma County economy, while offering a variety of opportunities for growth, said Stephanie Larson, PhD, Livestock and Range Management Advisor, University of California Cooperative Extension (UCCE) based in Santa Rosa. She said that today’s focus is on adding value through an economic engine that increasingly runs on niche markets – a trend she believes can increase investment returns by 2X. Based on the last ERS USDA Census, Sonoma County farms generated over $7 billion in total economic benefit this decade (including $4.4 billion in direct impact) making it a regional powerhouse encompassing both crop production and value-added sectors such as beverage and food manufacturing. These dollar figures represent 21% of Sonoma County’s GDP with products sold per acre at four times the U.S. average. Farmers paid $882,424,777 in total wages in the USDA report – some 4% of all wages in Sonoma County—affecting 33,184 jobs (13.2% of county jobs) and directly affecting 15,160 employed workers (8.4% of county jobs). This USDA census is conducted every five years. The next census report, to be released in February, is expected to show stronger gains. Dr. Larson said innovative farmers and ranchers made money by highlighting their products as “locally raised”, joining the early campaign of “Sonoma Select”. 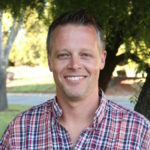 According to Ben Stone, executive director of the Sonoma County Economic Development Board, the Sonoma Select labeling campaign in 1988 – the nation’s first countywide agricultural marketing program—increased sales and added value by having Sonoma Select logos on restaurant menus in San Francisco. Stone said that when wine bottles have Sonoma County labels, they support recruiting efforts for employers like Keysight Technologies. “Brand awareness through wine is an inducement, or a beacon, attracting people to come here. When hired, they have the income to afford local value-added Ag products,” he said. Additional marketing efforts were eventually required to remain competitive, and many local producers went organic—especially the dairies. Now local, organic and “GMO free” marketing is commonplace, but Dr. Larson observed that often spikes in demand, based largely on trends and key words, don’t last forever. Eventually there is a return to price and consistency, as well as perceived quality versus cost, with a locally produced cache associated with each product. The quest for differentiation, along with the need to diversify product offerings, has compelled some farmers to focus on fulfilling specialized market demand for high value products that transcends commodity milk prices, for example, by producing cheese, yogurt and other byproducts, and by adopting innovative practices and online marketing techniques, they have also enjoyed closer contact with constituents and consumers. Years ago, Dr. Larson and Jacqueline Rotlisberger organized the Sonoma County meat-buying club for beef, pork, lamb cut and packaged in boxes delivered to members once a month. Labels included “Grass Fed or Corn Finished” along with recipes, periodic hamburger sales and new packaging to stimulate sales as part of the marketing mix. “At first, it was a big success, as customers wanted to support local meat producers, but they weren’t ready for a meat club that didn’t allow for a choice of meat cuts. However, this experience did result in opening markets for local beef producers into high-end retail markets along with farmer’s markets. You have to be flexible and willing to try new approaches. 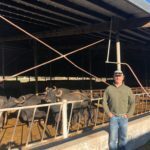 We found that for premium meat products, you have to market in areas like Marin County and San Francisco where people can afford to pay more for quality,” Larson added. Many consider Agritourism to be the future of Sonoma County. Dr. Larson and Stone agree that in an age where visitors come to the North Bay to primarily drink wine, explore its natural beauty and enjoy its bucolic charm, they are also attracted to local food, recreation and learning experiences that enrich their lives. Stone says tourism supports 10% of the county’s jobs in a region where half of the economy is based on the wine and hospitality industry. Sonoma County has some 3,500 farms, but with fewer traditional, multi-generational farming models in place today than in the past. However, farming is still a family business with 99% of farms nationwide categorized as “family farms” accounting for 87% of production. Small farms are defined as those that grow and sell between $1,000 and $250,000 per year in agricultural products. They make up 89% of the total and operate 52% of the nation’s farmland. The largest share of farm production takes place on large-scale family farms, said Economist Christopher Burns, PhD, with the USDA’s Economic Research Service, in the 2018 edition of America’s Diverse Family Farms. In California, about 86% of commercial family farms are small, defined as averaging 231 acres or less – with many in Sonoma County having one to 50 acres—and without large holdings of 5,000 acres or more. With the average age of principal farm owners above 60, succession planning has become a priority, however, it must be combined with having the next generation embrace the value-added approach, including ways to keep children interested in staying on the farm and keeping the land in agriculture. Allowing kids to experiment with viable farm product options is one way to do this. There are also ways to fill the pipeline for future farmers and ranchers through FFA and 4H programs for those not part of existing farm families, but many youths, especially Latinos, say they do not want to be traditional farmers, preferring to seek higher paying jobs in non-agriculture industries. The challenge is how to get them involved and provide access to education and training needed to enter and advance within farm and ranch sectors. Dr. Larson says there are growth opportunities in a post-mega fire era by harvesting farm forests for lumber, which has potential in low volumes, but is another niche possibility for additional income. She noted that prescriptive grazing on public or private lands can be an alternative to pre-emptive burning for grass control, and even a source of new income and jobs if farmers lease their land to those with herds looking for supplemental pastures. Embracing carbon-farming techniques, also known as regenerative farming, can also add value by reducing greenhouse gases or capturing and holding carbon in vegetation, soils and surface biomass, while improving watersheds and benefiting the ecosystem. Stone said he believes technology can provide economic stimulus, especially as labor shortages force farmers to seek alternatives, such as robotic milking and advanced harvesting machines. Broadband expansion into rural areas will enable farmers to market their products through social media, photos and by telling first-person stories about those who came to visit or share farm-to-table dinners. “For niche farm businesses, the Internet has been instrumental in enabling small producers to access large markets in ways not possible before, creating exciting opportunities,” he said. With local water shortages, the county Economic Development Board is seeking a grant for a pilot tech program in Dry Creek. It is a “precision agriculture” initiative designed to save irrigation water by automatically shutting off vineyard sprinklers when it rains, triggered by a satellite signal to ground sensors. This technology lowers costs and supports a more sustainable enterprise through a precise use of resources. Drones are also being deployed to detect which areas of a vineyard need water and which do not using sophisticated monitors that measure water saturation as well as pest damage and grape quality. “Years ago, before homogenized milk became popular, cream would separate and rise to bottle tops. Now some dairies, like Clover, are market testing a return to non-homogenized milk based on a perceived change in consumer tastes. Just because something was tried years ago, and later set aside, doesn’t mean it can never come back. The past is prologue, and what was old can be new again. Innovation is the future of agriculture,” Stone predicted. Given the history of agriculture in Sonoma and Marin Counties, farmers have shown their resilience by being able to adapt to the times.